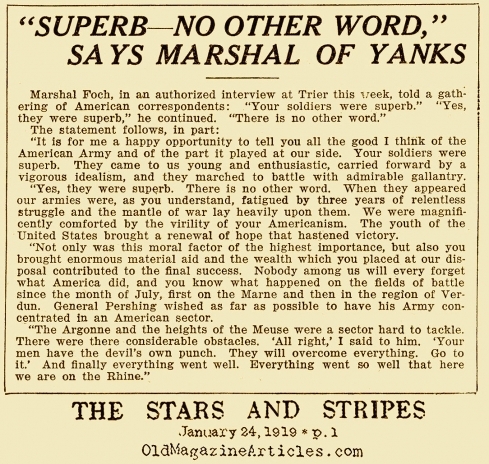 "Despite its almost unanimous vows testified to by countless rounded phrases in trenches and billets, a good share of the A.E.F. is returning to France. It is almost chasing its own tail in the effort to get back, for it was only a few weeks ago that newspapers everywhere said that the last of the A.E.F. was home. And before the rear guard of the A.E.F. was aboard boats headed westward, the vanguard of the returning A.E.F. was pouring back into France through every port." "The average American soldier who went to France received six months of training in this country before he sailed. After he landed overseas he had two months of training before entering the battle line. The part of the battle line that he entered was in a quiet sector and here he remained one month before going into an active sector and taking part in hard fighting." 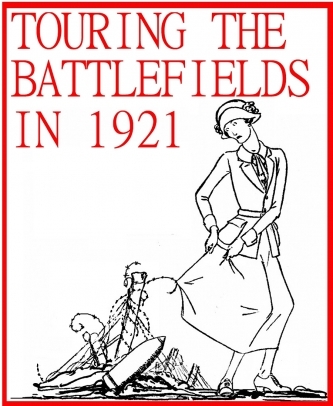 Click here to read a 1918 magazine article about the Doughboy training camps. A black and white map indicating the Atlantic ports up and down North America where the A.E.F. boarded troop ships, their trans-Atlantic routes and their French and British points of arrival. The map is also accompanied by a few facts concerning this remarkable trip across U-boat infested waters. This page contains a chart clearly stating the number of men who served in the U.S. Army during World War One, the number of men provided by each state and what percentage of the entire army originated from these states. *Doughboys from New York numbered 367,864 and made up 9.7% of the U.S. Army. *Doughboys from Pennsylvania numbered 297,891 and made up 7.93% percent. *While the men of California made up 2.98% of the army, clocking in at 112,514. Click here to read about the shipments of chewing gum that were sent to the American Army of W.W. I. The Doughboys were "trained in the division, which was our typical combat unit. In the American Army it was composed of about 1,000 officers and 27,000 men. Training and sorting organizations of about 10,000 men, known as depot brigades, were also utilized, but as far as possible, the new recruits were put almost immediately into the divisions which were the organizations in which they would go into action."